What are publishing services providers? Publishing services have come a long way since the old vanity publishers. In fact, the best of the providers aren’t even on the same ruler, let alone somewhere along the scale. Simply put, it’s effectively a cross between traditional publishing and self-publishing. Worth noting – publishing services providers (PSPs) should not be confused with subsidy publishing. For the most part, subsidy publishers will take anything as long as you are willing to pay and after the basic design, production, print and submission to online booksellers, anything more is an additional paid add-on. Subsidy publishers only differ from vanity publishers in that they are usually upfront about what they are offering. There are good PSPs and there are bad PSPs. The good ones act like traditional publishers in that they won’t accept every author who comes to them waving a manuscript. As a filter, many PSPs stipulate a manuscript assessment before providing a quotation. How to find a good company? 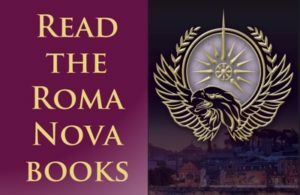 Ask other authors and search reputable forums. I heartily recommend consulting The Independent Publishing Magazine which scrutinises and scores all types of self and independent publishing support. But talk to other writers and research the books published by these providers: what is the quality of the paper, is the print inside readable? Is the text tiny or squashed on to the page with no margins? Is the cover chucked together or properly designed? Can you read the back cover blurb? Are the fonts on the cover easy on the eye, but clear? How does it work with a publishing services provider? The company publishes the book, just like a traditional publisher does. But instead of paying the author for the rights to his work the author retains all his/her rights and pays the publisher to publish the book. Effectively, the author shares the cost with the publisher. And a sign of a good provider is that they highlight the author as the copyright holder. This is extremely important. On no account should you cede any rights. You are granting the publisher a non-exclusive licence to publish your book. Anything else compromises your position. A good PSP will expect you to have your book professionally edited. A better one will offer it alongside their publishing package which should include book design – typesetting, interior layout, cover – CIP registration, legal deposits, proofing, that all important ISBN number with barcode without which you cannot get your books into a bookstore, Nielsen Bookdata entry, and these days, ebook conversion. Most importantly, a good PSP will have a well-designed website featuring its books on the front page and an online shop. It should set up warehousing and distribution so that bookshop orders are fulfilled via major wholesalers. The two main book distributors in the US are Ingram and Baker & Taylor, and Gardeners, Bertrams in the UK. Make sure your chosen company uses at least one. There are some disadvantages with PSPs. You, the author, are paying and often quite a hefty amount. It’s an investment in yourself and your work. So it’s up to you to scrutinise any contract or agreement to check exactly what you are getting. 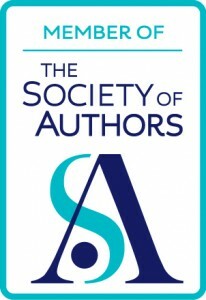 It’s worth joining the Society of Authors for their contract vetting service alone! Even though your books are distributed it can be difficult to get the major bookstores to carry them. This is something to investigate with your chosen PSP; some have accounts with the major stores plus position their books across a wide range of online outlets. For bricks and mortar shops, you may have better luck with independent booksellers. Amazon, however, is the great equaliser. But as with a traditional publication deal, it’s ultimately up to you, the author, to market and promote your book. Although you have control over decisions – you’re paying for the services – it’s comforting to get advice and moral support from an experienced team who are equally invested in your project. Every author has to make the decision that feels right for them and their situation. If we’ve learned anything from the explosion of self-publishing, it’s that there isn’t just one way to do things anymore. That’s what makes this such an exciting time in publishing. 4 comments to What are publishing services providers? Hi Alison, Could you say a bit more about how you apply to a PSP? Is it with the usual synopsis and first 3 chapters (UK), after which they either reject, or they do a full manuscript assessment? Should authors expect to pay for the initial manuscript assessment, or do you engage financially once you have a quote? I think it would be really useful for others navigating the course to know what to expect from a reputable, trustworthy PSP in this respect. They vary, but usually, the first step is a manuscript assessment, sometimes with a small fee. But before sending your ms to any provider, I would always phone them with a list of prepared questions. Scrutinise their website, and check it against The Independent Publishing Magazine’s excellent 12-point guide. http://www.theindependentpublishingmagazine.com/2012/07/12-points-to-consider-when-looking-for.html Then draft your list of questions. You will need to pitch your book idea to the PSP because even though you’re paying, they don’t want to waste their time on producing lemons. This is as tough and commercial a business as traditional publishing. And the good PSPs do get busy. During the initial telephone conversation, listen to the levels of optimism. If it’s gung ho about selling thousands of your book, worry. If the PSP contact is balanced or even downright pessimistic, then continue with your conversation – they are realists. Listen to how much they know about the production and distribution business (You will, of course, have researched all this beforehand to know what their answers should be). And do not be afraid to take time over this call. If necessary, book a slot with them if they can’t give you the time when you first call. Once you are happy with their answers, look up a few of their titles on Amazon, check the reviews. If a title attracts you, order it and see what the quality is like. Often, well-published PSP titles can be better than mainstream ones. And do it again for others on your shortlist. I would have a maximum of three “finalists” at this stage. I hope that helps! Ask me more if not. 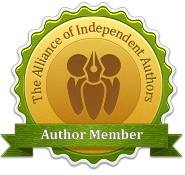 It was a very informative blog, Alison, even for me who has been through the self-publishing services before. I think Claire King’s question above filled out any gaps nicely. But one should always bear in mind that the PSPs–even the very best ones–do not make any financial commitment whatsoever. Very good point, Denise. This is why I think it’s essential to have that long telephone conversation with them first to find out if they are prepared to give support as well as the specified services. This is where you may find you get your money’s worth. If they handle sales of your books via their website (which they should! ), they will make a percentage charge – an incentive here, albeit small, unless you turn out to be the next J K Rowling!